The Committee serves to ensure the diversity of AALL membership. The Diversity & Inclusion Symposium planning starts right after the previous Annual Meeting. 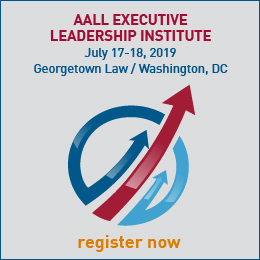 The AALL Minority Leadership Development Award selection is during the spring. Most of the Committee members average about two hours a month on general Committee work, including a monthly conference call. The chair, vice chair, and the symposium coordinator spend additional time averaging an additional one to two hours per month. The subcommittees, public relations, and special projects, can also require additional time. Note: Time commitments are estimates from past assignments and can change with new projects or requests for assistance from the Executive Board. Membership on the Committee shall normally be for two years, except that the Vice Chair and Chair will each serve three years. The member selected as Vice Chair at the end of the first year will serve in that capacity in the second year and become Chair in the third year. The Committee shall normally consist of a Chair, Vice Chair, five members, a non-voting Executive Board liaison, and a staff liaison. The Committee works with the Annual Meeting Program, Awards, Nominations, and Scholarships committees. 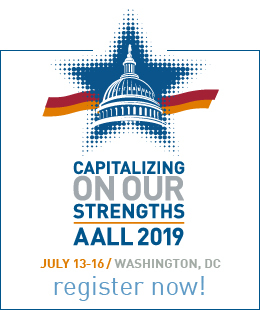 The Committee also works with the Annual Meeting Grant Awards Jury to screen for duplication in the awarding of the AALL Minority Leadership Development Award.